Hey everyone! 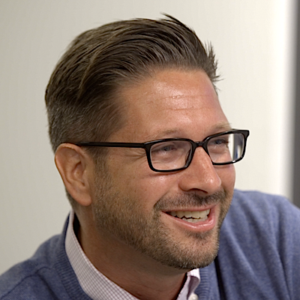 Today’s episode is with Mark Roberge, Chief Revenue Officer of the HubSpot Inbound Sales Division. He is also the author of The Sales Acceleration Formula, a book on how to build a winning sales organization. Today we’ll be talking about how Mark helped grow HubSpot from zero to $100 million in revenue by coining the term inbound marketing, how he successfully applied his data background to sales, and why you should start blogging before you build your product. [3:31] – HubSpot created the term inbound marketing, which is now a mainstay of marketing. They built software and a company around the idea of inbound marketing. [3:39] – They have diversified the term to be more about sales and doing business, and they have created a free CRM to complement their marketing software. [5:29] – Inbound is effective to influence and get eyeballs and get a conversation going. Inbound can be very effective for leads. [6:16] – Inbound brings a lot of credibility to a story as well. Thought provoking articles and educations can take someone further down the buying journey. [00:07:11] Their first customers came from their networks, then they started generating leads from content. [8:05] – When should you start a blog? For HubSpot, they started blogging before they built their product. [8:44] – They build a product about the pain they were trying to resolve, and they learned this first hand through their blogging and comments. [9:28] – It’s not that expensive to get some content going. [10:11] – The second hire they made for their marketing team was a reporter from the world of journalism to help with content creation. [11:14] – HubSpot produces over 50 good pieces of content a week. [11:29] – As a starting point to sales, think about it from the buyers perspective. How do they become aware of the problem you solve. What solutions do they consider? What is your unique advantage? How do they evaluate their buying position? [15:48] – The strategies of Mark’s book have been pushing methods of sales forward. [16:30] – The sales tool industry is one of the hottest industries in the last nine years. Now there are startups and established companies that help capture sales data. HubSpot also has a free CRM and a product called SideKick. [17:38] – A forced referral is a passive recruiting strategy, that asks employees about specific connections they have, and if they would be a good fit for a hire. [20:38] – The value added reseller program, is building out a channel program to reach new customers. [23:05] – With conversion there needs to be a context of awareness of the buyer and engage on the content that the customer in interested in. Build trust. [25:27] – Take the big risks early and don’t swim with the masses. Mark: Start with the buyer's journey. How do they become aware of the problem that you solve? How do they talk about that problem? How do they decide to prioritize looking into that problem? Once they've gone through that sequence, what are the different solutions they consider? What are the categories of solutions and what are the different vendors in those categories? What's your unique advantage within that set? Speaker 2: Do you want to impact the world and still turn a profit? Then you're in the right place. Welcome to growth everywhere. This is the show where you'll find real conversations with real entrepreneurs. They'll share everything from their biggest struggle to the exact strategies they use on a daily basis. If you're ready for a value-packed interview, listen on. Here's your host, Eric Siu. Eric: Before we jump in today's interview, if you guys could leave a review and a rating and also subscribe as well, that would be a huge help to the podcast. If you actually enjoyed the content and you'd like to hear more of it, please support us by leaving us a review and subscribe to the podcast as well. Thanks so much. All right, everybody I'm very excited to do today's episode. It's with Mark Roberge, who is the chief revenue officer of the HubSpot inbound sales division and has written The Sales Acceleration Formula, which is a book on how to build a winning sales organization. Now Mark was actually one of the key executives responsible for taking HubSpot from zero dollars to a hundred million. This book, it's actually sitting next to me right now, I was just telling Mark before we started that it was sitting next to my bed before I had to move it over here. I'm very excited to talk about this. Mark, how are you doing? Mark: I'm great, Eric. Great to be here. Thanks. Eric: Thanks for being here. Why don't you tell us a little bit about your background? We'll talk a little bit about HubSpot. Mark: Yeah, sure. I was an engineer undergrad. I started my career writing code for a few years then jumped into the startup scene, ended up in business school at MIT and started a bunch of companies there as class projects. In one of my initiatives, I ran into one of our co-founders, Dharmesh Shah, and joined the company thereafter when there were about 3 employees. I joined in the capacity of sales, which was ironic because I've never done sales before. [Several 02:13] years later, I found myself head of global sales with a couple of hundred folks under me and approaching a hundred million in revenue. It was a fun journey. I think that people appreciate the perspective on is just how someone like that background, which is very data and process-oriented applies that lens to sales. That's really what the last 9 years or so of my journey has been about. Eric: Awesome. Great. That's fantastic. We'll certainly start to dive into a little bit of that more. What does HubSpot do as a company? internet's changing the buying process, stuff that today seems really obvious, but back then was less so. That thesis triggered into a software company being HubSpot and a new meme that we coined inbound marketing. What that was all about was rather than wasting dollars on outbound interruptive efforts, like advertising, cold calling, trade shows, et cetera, companies should refocus more their effort on developing content, whether it's blogs or ebooks or podcasts like this, to be able to track customers, educate them, and attract them to their business. We built a whole company around that, built a large software package around it, really drove the term "inbound marketing" to be a mainstay in the world of marketing. That's the service we provide to our customers. Since then, we've diversified the term to be more about just marketing, but a way of doing business, largely in the world of sales as well, and have developed a free CRM to complement our marketing software. Eric: Interesting. It's actually really interesting because I was doing a podcast literally before this, and this was a [software 03:56] service executive. He was saying that when you go out and you're selling to the mid-marker enterprise level, you can't really "do inbound marketing". I didn't really say anything there, but what would your response be to something like that? Mark: I disagree. I do think inbound marketing isn't a good fit for all situations, but I think people are confused or maybe misled as to whether it applies to enterprise. I was speaking to someone the other day, and he happened to had come out with a really cutting edge drug and literally needed to take it to the clinical trials. Basically his short list of people he needed to hit was 12 people. There were 12 people that were head of R&D or biz dev at the top pharmaceutical companies. You're not going to do inbound marketing for that. On the other hand, I was speaking with a company that's not a startup; they're well into their growth stage. They're just targeting the top [Fortune 500 04:54] companies. Now their product is such that whether you're an end user or a decision maker that it could benefit your business. It helps a lot of the people in those companies. Even though those were only the top 100 companies, there are tens of thousands of people employed by each one of those. When you look at it at a company perspective, yeah, their adjustable market's only 100, but when you look at it from an eyeball perspective, their adjustable market is well into the hundreds of thousands, if not millions. That's really the misnomer at the enterprise level. When inbound is effective is even when you're penetrating a small number of accounts, it's extremely effective to influence folks within those doors to get a conversation going. that goodwill over time. They said they've read something and then they wanted to learn more about us. I'm with you on that. Mark: Yeah, great point, Eric. One point of appreciation is even if you don't attract people, and I think eventually you will, when you're out there active and inbound, it brings a lot of credibility to the story as well. If I got an intriguing email, call from a sales person and I was like, "Oh, this is interesting," the first thing I'm going to do is blog the company and that person. If it's a ghost town on their website or a ghost town on their LinkedIn profile, their social media presence, that's [not so intriguing 06:34], but if I find some really thought-provoking articles about problems that I've been having and I get educated, I've gone further down the buying journey just because of that experience. Even if it doesn't attract, and it will, it still adds a lot of value to you through the inbound selling journey. Eric: Right. I totally agree with that. In terms of numbers around the business, you guys are obviously a public company. Now what are your revenues, the numbers of customers look like at a high level? It doesn't have to be exact. Mark: Yeah, we're approaching $200 million. I think our last [turn ins 07:00] for the last year was a little south of $180 million, growth was a little south of 50%. Eric: Nice. How did you guys go about acquiring, let's just say, your first hundred customers? Mark: Yeah, the first hundred, we're very fortunate that ... The first couple, like any startup that I'd recommend, we went through our networks. We've done a lot of work at MIT together. We've gotten to be known as the guys that understand web marketing and website development. Any time that people had a colleague that was looking into that, they called us. That wasn't that hard for us to convert the first couple. I guess inbound is what we were known for, but then, very quickly, we were very fortunate to jump on this content generation approach really early. We were generating a ton of leads. We definitely got most of our hundred customers from those efforts. That's always a question I get that's an interesting thing to think about is when should you start a blog as an early stage venture? Do you wait until series A, when you have a sales person, when you have product market fit? I'll tell you, for us, we started blogging when we started building our product, literally 9 months before we built it. I thought it was really advantageous that our co-founders had the thought leadership to be actually get on that. At the time we were only blogging maybe twice a week, and it really fell on the handful of folks that were involved with the company early on. Because we were doing that, number one, we built a much better product, because we just built around the pain we were trying solve, which any entrepreneur is heads down on. We got a much better sense of how the market perceived the pain, how they described it, what points really resonated with them, just through which articles were getting the most traction, and how they were commenting on them. Furthermore, by the time we were ready to launch the product, we ranked number one in Google for many terms that had a decent amount of traffic relevant to our pain. Getting our first beta customers was quite easy. I think by then we'd had in the high hundreds, maybe even a thousand followers in our blog that were all interested in what we were saying. It was easy enough to get many of them into our free trials. The other final piece of that is it's not like you've hired an engineer or two. It's not that expensive to get some content going, whether you just step it up as a founder and work 80 hours instead of 70, or you just go and find a journalist intern from one of your local universities to do it for credit or $15 an hour. This isn't an enormous expense proposition to be able to get going. Eric: You talked about journalists for a second. I've heard that from another friend, where he talks about hiring journalists is actually better because they can do great research and then you can get them for absolutely better price in a full time situation. Is that something you guys did pretty actively, hiring journalists? Because I know a lot of internet marketers or people in the digital marketing space are just hiring the most expensive writers. Mark: Yeah. The second hire we made in the marketing team was a reporter from The New York Times. This was back in 2008. It was a pivotal move, and not the way people thought back then. More and more folks are doing it. I still think we're at the early stages of that. You've got this world of journalism that traditionally isn't exactly on fire, whether it's in newspapers or magazines or whatever, and then you've got all these marketers in a B to B context that are trying to figure out how to redefine their strategy in this new age where the buyers have control and the internet's empowered them. There's a great one plus one equals three synergy there. We have this B to B marketing executives who can just be more aggressive around engaging these journalists and build a content production process just like they built a cold calling process and a trade show development process and a paid marketing process that can really unleash a new way of marketing for them. Eric: Just to add a little context here for the audience, I'm tracking what the big blogs do, and HubSpot, one of the things I'm looking at with you guys, you guys are producing over 50 brand new pieces of content each week. That's way above what everyone else is doing. It's almost becoming a newsroom where it's like really good stuff and it's just like a machine. Props to you guys on that. Let's use a scenario here. Let's say we're a startup that has raised a series A, and we're looking to start selling. What is the typical sales structure you see for small teams like this? so they've put them on the phones. It could be a buddy of the founder. They're starting to get some customer traction, but it's not really done in the most predictable of professional way. Really, once the series A or series B heads, hopefully, we've started to encounter product market fit at that point, and it's time to think about a more scalable approach to sales. What I like to do as a starting point there is really think about it from the buyer's perspective first. A lot of people think, "Okay, we need to professionalize sales. Let's build a sales process. We're going to prospect and we're going to demo and then we're going to close. Let's define those stages in our CRM. Let's write what we're going to do at each stage." You've all probably been sold to people like that, where you feel like the person's just pulling you along through this process that you don't really want to go through. What I really advocate in this new age with buyer empowerment is start with the buyer's journey. How do they become aware of the problem that you solve? How do they talk about that problem? How do they decide to prioritize looking into that problem? Once they've gone through that sequence, what are the different solutions they consider? What are the categories of solutions and what are the different vendors in those categories? What's your unique advantage within that set? Then as they move to the decision process and [narrowing 13:12] on your category and your solution, what's the evaluation criteria that they use to make that decision? Who else is involved and what are those different perspectives? When you look at it from that perspective and then build a sales process to support it, you end up in a much better foundation to scale sales from. Eric: Like you mentioned, it's so contextual, the question itself. I think there's a lot of nuances and variables involved. The best way to do this would be to pick up the book, The Sales Acceleration Formula. I'm not affiliated in any way. I'm just saying the book is damn good. Anyway, continuing on here. Mark: I appreciate that. Just so you know, while you're on that point, 100% of the proceeds go to build.org, which is a non-profit actually out in a couple different cities. They started out of Silicon Valley, that basically it takes the passion for entrepreneurship and applies to kids who've grown up in some of the tougher neighborhoods in the major cities, who probably are at significant risk of not graduating from college and maybe ended up on a gang or the streets or something along those lines. They basically expose them to entrepreneurship freshmen year and they go through a 4-year program of building a business. Thank you for mentioning the book. Anyone that supports it, thank you. Thank you for supporting build.org. Eric: Yeah, that's fantastic. A side question, why did you decide to give all the proceeds away to the build.org? ecosystem, to be quite frank. I had a lot of demand, I continue to have a lot of demand, of phone calls from entrepreneurs. I figured this would be a good way to get the blueprint out there and get some of these message out there at better scale. Then if it did well, it would kick off some revenue. I thought this would be a kill two birds with one stone type of approach, is if it does kick off revenue, why not put it back into the ecosystem and try to groom the next generation? Eric: That's fantastic. That's good. I think it makes a lot of sense. A lot of times, oftentimes you're probably not going to need the money from the book, good to give it away. I think the other thing is also the brand awareness that you're getting as an individual right now. How has that helped you? Mark: It's been great. I think a lot of people go through that sequence. I think I've been fortunate that just the brand awareness of being an executive affiliated with HubSpot and all the speaking opportunities and blogging opportunities, we're able to get the personal brand at a certain level already. I think the book has probably gotten there in another level just because people understand my perspectives, what I'm about. The most exciting thing has been when I jumped on calls with new sales leaders, before I wrote the book, it would be the same questions and responses for me. It was cool to add value, but it got like it's the same thing, "Here's what you need to do." Now it's just really cool when I get on them and they've essentially implemented everything in the book and we're pushing the industry forward. That's really exciting to see and to work with the new generation of sales leaders on. Eric: Awesome. Yeah. I can't rave about this book enough. I've read a ton of them out there. This is probably the best one. You talk about having a bunch of actual information. I'm just flipping through it right now. It's all in here. I guess one of the questions would also be a lot of these processes, it would seem that if you had a good set of engineers around, you can build some of these tools to help with tracking, but what about those companies that don't have the luxury of building out sales tools? What do they do here? Mark: That sales tool ... Our industry has been one of the hottest industries in the last couple of years. We didn't have this whole sales enablement space 9 years ago, when we started building up the team. What it meant was a lot of hacks in the code that ran the last legacy of sales software. Today there's a boatload of startups and a boatload of established companies that are helping sales people accelerate their process, automatically capture data, sell in a more contextual way that resonates with the buyer. Those tools are available without engineering help. Of course, we can plug HubSpot shamelessly there. We've ventured into this space 3 years ago. We have a free CRM that you can check out. We have a product called Sidekick that sits on top of the CRM and helps sales people work in their email, work on their phone without having to log data manually into the CRM. Eric: Great. We'll drop that in the show notes for sure. Obviously, there's a ton I want to cover here, but let's just talk about one item here. Tell us what a forced referral is. Mark: Sure. As the book talks about, when you think about the major categories of work that you have to do as a founding head of sales, you have to hire sales people, you've got to train them, get them up to speed, you've got to manage them and develop them toward a [quota 17:50]. You're never going to be able to do an A-plus job on all 3 even if you know what an A-plus job sounds like. You just don't have the time and bandwidth. As I reflected on that issue, I was like, "If I'm going to cut corners, where should I cut corners? If I'm going to do an A-plus job on one of them, where should I do an A-plus job?" It wasn't long before I figured it's got to be hiring, because if I do a C job on hiring and kill it on training and managing, it doesn't matter. I've got average people, below average people on the bus. It's just not going to fly. If I can put a lot of effort ... And I literally put half of my time when we were 10 people in a garage, half my time finding, recruiting sales people. I just figured the rest will take care of themselves. Even if I do a C-plus job at training and managing, A players will find a way to win. The most difficult part of that was after posting up some ads that we were hiring and interviewing, phone screening 50 to 60 people, I realized that great sales people aren't active in the market. They don't have to apply for a job. Great sales people, every quarter, have all their former bosses reaching out to them, saying, "Are you still happy? Because I'm off to this new venture, and you always know the door is open for you to come work for me." I quickly realized we needed a passive recruiting strategy to get the sales team that we wanted. There's a bunch of tactics outlined in the book around that. One of them is called forced referral, which is extremely effective. What that meant was when someone joins the organization, give them a couple of months to settle in and let their last employer settle out of their blood a little bit. Then we'd schedule a meeting for the next day and say, "Hey, Eric. Let's meet for 20 minutes and talk about who you might know that would be a good fit for our team. I'm already connected with you on LinkedIn, so I'm going to go through your 472 connections on LinkedIn tonight and see if there's anyone that's a good fit, and come with that list tomorrow." I'd come up and show up with 21 names and say, "Okay, Eric. Let's go through each one of these. Are they good? Do you know them well enough to introduce me?" You'd be amazed ... Everyone posts up, "Hey, $2,500 to $5,000 referral for hire," and people think about one or two names. When you go through this forced referral process, you generate 10x the flow. You've also generated really warm introductions with those people. Eric: Great. Just out of curiosity, are you guys paying a referral fee for any introductions? Mark: Yeah, we do. [I apologize 20:18]. That policy always changes on whether it's internal, external, how much it is. We've always done that. I just don't know what it is off the top of my head. Eric: No worries. Just wanted to know. One big thing that I know had a big impact for you guys is your value-added reseller program. Can you talk a little bit about that and how it performed? Mark: Gosh. What a game-changer for us as well. I think it was the fourth or fifth hire I made all the way back in 2007. A guy named Pete Caputa, who was an entrepreneur in the area. I convinced him to lay up his shoes around entrepreneurship and jump into the sales team. Almost since the beginning, he was obsessed with building out a channel program. I'll tell you we were very resistant to it as an executive team. We just heard from many of our mentors that it wasn't worth it early on, it takes so much effort to get these relationships setup, and then it takes twice the effort to even get deal flow to go through there. Plus, you're too far away from your customer at that really critical early stage of the business. However, he kept at it. We've matured a little bit, so we gave him a shot. He absolutely crushed it with the program. Every time he came back with better and better results, we came back with more and more investment for him, "Hey, Pete. Here's $50,000 of marketing," "Hey, Pete. Here's 3 headcount." That organization's worth generates 39%. I think our last S1 said 39% of our new customer acquisition. Check the S1 if you want the exact data, but it's just been a mind-blowing experience for us. Kudos to Pete for having the vision on that and staying persistent with us and making that happen. I think the big difference there is unlike the traditional channel program you might hear about in software, where you meet your local area that system integration shop that's been selling Oracle and Adobe and Microsoft products for the last couple of decades. They've got 10 sales people and 10 implementers. This was very different. These were Mom and Pop marketing department, marketing shops. These were web designers, these were SEO consultants. They were all looking for the next wave to align themselves with and many times struggling from a business model standpoint because they were selling one-off initiatives for $10,000 or $20,000 each with no annuity behind it. Pete did an amazing job of just embracing those people and teaching those new model and adding value back to our customers. Eric: Wonderful. One more example or one more real-life ... Or some example scenario right here. Then we'll jump into 2 rapid fire questions then we'll be off. Eric: Let's say a website is ... They're doing a good job of lead generation. They're collecting 50 email leads a day. Let's just call it a services business. The only thing is they're getting the 50 email leads a day, but they aren't doing a good job of converting these into actual customers, into actual revenue. What would you recommend a company like this do? They're good with lead generation, but they can't convert them. What have you guys done in that situation? Mark: Jeez, it could be a whole bunch of things, but I will tell you that my first guess is to what's actually happening is the sales team that they're using to convert those leads has a legacy mindset. They're used to engaging with the C-suite with a cold call elevator pitch and really just shaking that tree of cold calls as hard as possible until someone falls out the bottom. When you convert to more of a program like you're talking about here, Eric, sometimes you don't get the C-suite responding, sometimes you get someone a little bit lower down. If you take a legacy mindset to them and go approach them with a pitch that was more appropriate for the C-suite, not recognizing that they're a manager or an end user, the whole program falls apart and the sales team gets frustrated. I think what needs to happen here is there needs to be an awareness of the context of this buyer, whether the role they're at and the interest that they have, based on the content that they've engaged with. You can go to market as opposed to going to market ... Or as a sales team with that elevator pitch that work with a C-suite, instead engage with that end contact on the content that they actually downloaded. Don't be afraid to help them for free for many minutes, 10, 20 minutes. Then start digging into the normal qualification around what their particular problems are, what their relation to the problem is, and their buyer power. If they are the decision maker, proceed. If they're not then do some digging around now that you've built some trust to see who might be and why they're looking into this. In summary, there's usually a disconnect between a legacy mindset around the sales process and this newer way to generating leads. Eric: Yeah, super, super important to understand the behavior that you're talking about, able to see what content they're downloading and see also who they are exactly. I think a lot of people, they don't have the technology or they're not using the technology available to them. I think a tool like HubSpot or other tools out there can help do the job there. Two more questions for you. What's one piece of advice you've give to your 25-year-old self? Mark: It would be take more risks and be a non-conformist. I always look at ... When I advise folks early in their career, I say, "Manage your career like your 401k. Everybody knows that when you're 22 and you're starting to contribute to your 401k, you don't put the money into bonds and [growth 25:31] fund. You throw in the most aggressive stuff because, yeah, it could go down in the next 10 years, but you're going to be at it for 30 or 40 years. Historically, it's always gone up. That's the way you want to think about your career. You're going to feel like you can take less risks later on, take big risk early. Don't swim with the masses. I think when you're 20 years old, you're just coming out of those teenage years, where you're significant peer pressure and you want to swim where everyone else is swimming. Turn over the rocks that no one else is turning over. That's usually where the gold is. give you 2 actually. There's one for you and another one you'd recommend. Mark: I'm taking more than that. We've talked a lot about The Sales Acceleration Formula. That's selfish. It's also selfish for me to mention Inbound Marketing written by our co-founders, which has done even better and is an awesome book. It was just rewritten. I'm going to take 2 outsiders, if I could. The Hard Thing About Hard Things is something that I really enjoyed recently. It's been out there for a while, but I think, for an entrepreneur, it's fantastic. The other book on selling, that's just an oldie but goodie. It never goes away. It's SPIN Selling by Neil Rackham. It's the one when a founder is trying to learn how to sell, belly-to-belly, I tell them to check out SPIN Selling. Eric: Interesting. I've never heard of SPIN Selling, but interesting thing about Hard Thing About Hard Things. I should get an affiliate commission for that because it's been recommended so many times on this podcast. Eric: Cool. We'll drop all of these in the show notes. The Sales Acceleration Formula, in my opinion, I can't recommend it enough. Everybody go pick it up. Mark, this has been fantastic. What's the best way for people to find you online? Mark: LinkedIn and Twitter, @MarkRoberge. Eric: All right. Everyone, this is Mark Roberge. Check out him online and check out his book. Mark, thanks for doing this. Mark: Thanks, Eric. I enjoyed it. Speaker 2: Thanks for listening to this episode of Growth Everywhere. If you loved what you heard, be sure to head back to growtheverywhere.com for today's show notes and a ton of additional resources. Before you go, hit the "Subscribe" button to avoid missing out on next week's value-packed interview. Enjoy the rest of your week. Remember to take action and continue growing. We’re Hiring for 3 Positions in Digital Marketing & Advertising!